Here at Dakota Lithium we create sustainable energy products to help people with affordable transportation and long-lasting energy storage. We’re here to power your passions, and help make the world a little bit better while we do it. The technology future of hover boards and electric cars that we dreamed about as kids is here. And for every new electric vehicle or powerful electronics there is a battery behind it. We believe that quality makes the difference. And that quality is measured by lifespan – how long a battery lasts. That’s why here at Dakota Lithium we focus on building batteries that last a long, long time. By harnessing a unique chemistry and our engineering know-how Dakota Lithium lasts 4x longer than traditional batteries, providing lasting value for our customers, and reducing e-waste and the impact on our planet. In 2004 a pilot & a chemist met in Grand Forks. Fifteen years later Dakota Lithium is a leader in long lasting energy storage and nano particle technology. Building a great battery is measured in nano-meters. You start with the best chemistry, crafting particles that capture electricity effortlessly. Hold it for a long time. And let it go upon command. 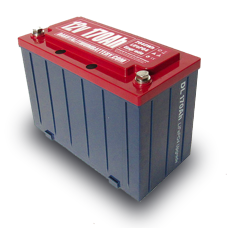 With traditional lithium batteries the lithium chemicals (called nano-particles or nano-powder) loose a piece of themselves with each charge. They fragment, and break over time. The batteries get slow and weak. Until your cell phone can’t hold a charge anymore. In our quest to build the battery with the longest lifespan (cycle life) we focused our research on building the most stable nanoparticle. The result is Dakota Nanotech. A nanoparticle that will last between 2,500-3,000 cycles. Roughly 5-6 times the lifespan of your cell phone battery. The result of a pioneering partnership with a leading research university, we have built our own patented lithium production process. We’ve put our know-how into building a better battery. To help you do what you love longer. To power your passions. We partner with industries across the globe to build customized energy solutions. 100% US based support, engineering, and assembly. Dedicated prototype & 3d production line. Direct from factory pricing so you can rest assured you are getting the lowest price. Built in Grand Forks, ND = Supports jobs for US workers. Dakota Lithium is proud to sponsor top athletes & innovators in fishing, robotics, and outdoor adventure sports. Join the DL team here. With a factory in Grand Forks, ND & an office in Seattle, WA we’re invested in supporting the communities we are a part of. Learn more here.